Marnie Vanden Noven is an assistant professor in the Department of Sport Science at Belmont University. She teaches courses in Exercise Science and the Sports Medicine minor. 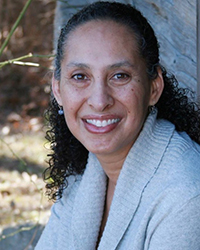 She is the former chair of the Ethnic Diversity Advisory Committee for the National Athletic Trainers’ Association and served as the District 4 representative for several years. Prior to teaching at Belmont, Dr. Vanden Noven was previously on faculty at Marquette University where she taught courses in athletic training, physical therapy, and exercise science. She is very active in the National Athletic Trainer’s Association, is a Certified Strength and Conditioning Specialist, and has maintained practices in physical therapy and athletic training.